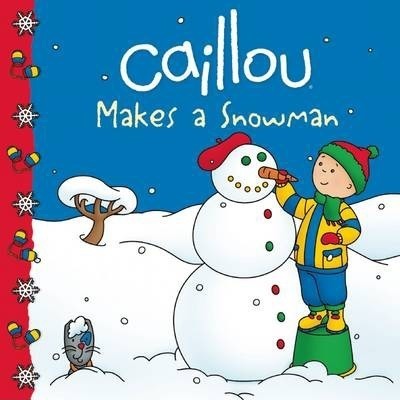 With the help of his friend Sarah, Caillou makes his first snowman. The snow is perfect, but Caillou lacks experience. Sarah proves to be a very patient teacher. They finish with a delicious snack made by Mommy, and Caillou makes sure the snowman is not left out. Drawn from the popular animated television series, the Clubhouse books follow Caillou as he continues to explore the world around him and gain a better understanding of his environment. Roger Harvey has adapted many texts from the Caillou television series, such as Caillou Goes to Work and Caillou Rides on a Plane. Eric Sevigny is a graphic artist and the illustrator of numerous Caillou titles, such as Caillou: Every Drop Counts, Caillou: Happy Holidays, and Caillou Puts Away His Toys.